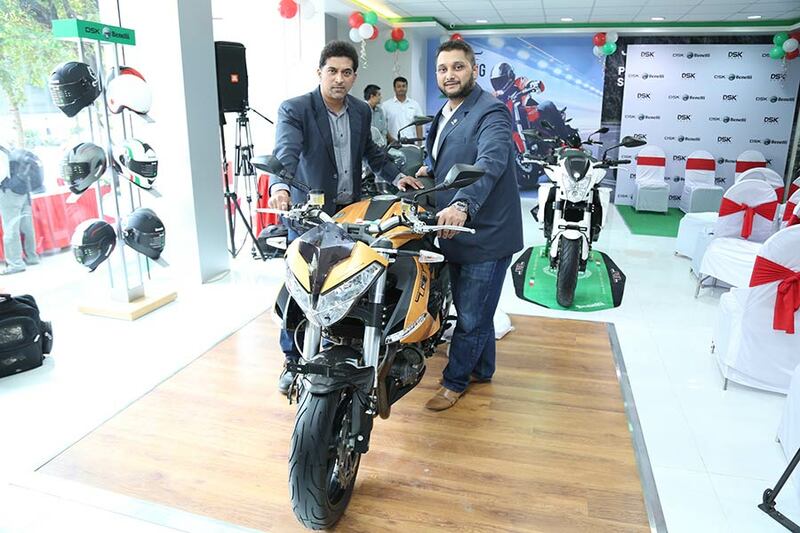 Adding spark to this year’s festive season, DSK Motowheels, one of India’s most well-established and strongest players, has announced the launch of four new DSK Benelli showrooms across India. The state-of-the-art showrooms are setup at prime locations of Pune (Yerwada), Mumbai (Worli), Vadodara and Bhubaneswar, enabling DSK Benelli to reach out to a wider audience with 21 showrooms PAN India. These new showrooms also showcase the legendary ‘Tornado Naked Tre’ or TNT superbikes that include TNT 25 – Single Cylinder 250cc engine, TNT 300 – In-line two-cylinder 300cc engine, TNT 600i (ABS) – In-line four-cylinder 600cc engine, TNT 600 GT – In-line four-cylinder 600cc engine, TNT 899 – In-line, three-cylinder 898cc engine and TNT R – In-line, three-cylinder 1131cc engine. Underlining its commitment to quality, DSK Benelli also offers 4-year unlimited kilometres extended warranty as well as 24×7 on-call breakdown service for the entire range of superbikes through its pan-India sales and service network. The reception that we’re getting from superbiking aficionados across India is overwhelming. DSK Benelli’s wide range of product offerings at various price points has been a prime driver in increasing our effective reach. Moreover, the strategic positioning of showrooms has further added thrust to the growing influence of the brand across the country. Adding to the joy of Indian biking enthusiasts, we are delighted to announce the launch of our exclusive new showrooms in Pune(Yerwada), Mumbai (Worli), Vadodara and Bhubaneshwar. These showrooms will enable more consumers to get acquainted with DSK Benelli’s powerful, elegant and value-for-money superbikes, making it more convenient for them to purchase a DSK Benelli superbike. The state-of-the-art facilities boast of premium infrastructure and elegant design that conforms to the exquisite luxury that the brand is synonymous with. The launch will boost the company’s brand presence and increase its consumer touchpoints across the high-demand geographical regions.